Today's tip is for Organizing. I know that trying to organize your things and your home can be daunting, but I have found some useful tips and ideas that can help. - Store items where you use them. 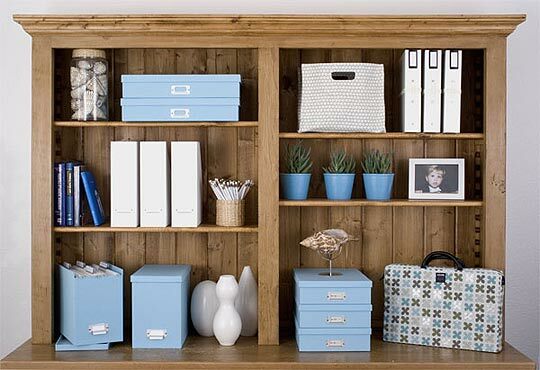 Keeping items where you use them will help you conquer clutter in your home. Here’s why. When you store things where you use them, it is easier to use the item and put it away when you’re finished. This last step, putting the item away, is a critical step in controlling clutter. - Sort your mail over your garbage can or recycle bin. Junk mail will never make it into your home or on your counter tops! - Invest in a dozen of your favorite, inexpensive pens and a small cutlery tray to avoid constantly searching for pens. Keep the tray, filled with pens, in a drawer near the phone. I just received a message from GiveawayScout.com asking if I was interested in adding my blog to their giveaway search! How excting is that?! Now more people will be drawn to my blog when I post a giveaway! I'm totally excited about it!! You can check out their site Giveaway Scout. After posting about how to make your own potpourri I decided that I needed to try it out. So here is what I did first. Then I dehydrated some oranges. Then I mixed up everything and got this! My very homemade Fall Scented potpourri!! A co-worker of mine devotes part of her time to a dog rescue called Valley of the Sun Dog Rescue and is always telling us about her adventures with it. Well I thought that it would be fun to feature this dog rescue on my blog so here she is to tell you a little bit about it. Its funny I was kind of at a loss for words. Valley of the Sun Dog rescue is a dog rescue that takes all breeds of dogs and specializes in Pit-bull Terriers, American Staffordshire Terriers and American Bulldogs. This rescue does so many wonderful things. Founded in 2000 Kathy has worked hard to teach people that the Bully breeds are not the terrors that the media makes them out to be. She also works with lots of other large and small breed dogs. If you are looking for a great dog to make part of your family this is a great place to start. Also, she has many volunteer opportunities such as fostering dogs until they find their forever homes and helping at adoptions on Saturdays and Sundays. Public donations are what keep the rescue going. This rescue has taken in some very abused and neglected dogs and the vet bills can become quite high. Currently we have a pit-bull at the rescue that was saved from animal control. He has some very serious human caused injuries and has been to the vet and may need surgery. If you can donate anything to help this sweet dog recover it would be very much appreciated. Wrigley is doing better, but is still in need of medical care and attention. There is a possibililty he might need surgery due to the extent of the injuries. Please share this and get the word out to help donate to his cause. Valley of the Sun Dog Rescue is the group that pulled him. You can donate by Pay Pay at http://www.valleyofthesundogrescue.com/ or by directly calling Prestige Animal Clinic at 480-792-0185. Wrigley is a love bug and very gentle, forgiving soul. Please donate to his cause, as this is absolutley sickening that this was intentionally done to him....TWICE!!! 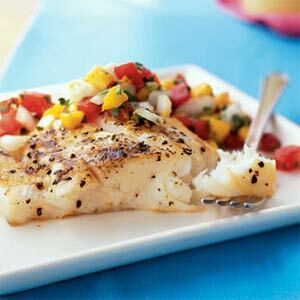 This weeks recipe is Grilled Halibut and Fresh Mango Salsa from Cookinglight. Yummy!! I'm not a big Halibut fan so I would substitute for Talapia instead. This is perfect for those late summer evenings. Top grilled halibut with a tropical-style salsa of fresh mango and diced tomato. 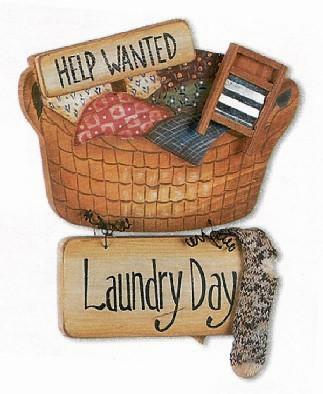 Today's Tip is for the Laundry. I've posted a few tips to help you wash your clothes safely and efficently. - When washing dark clothes for the first time use cold water and put salt in the water. The salt helps set the color. To brighten dark clothes after they have been washed several times, repeat the procedure. - You do not need to wash with hot water unless you are trying to sterilize your laundry. 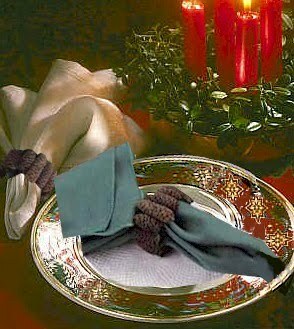 Use the warm or cold setting to save money. Set your rinse on the cold setting. Washing in cold water can save the typical family over $120 a year! 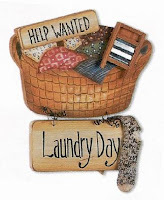 - Wash and dry clothes inside out to prevent fading. - Pilling is caused by items rubbing against each other in the washer and dryer. Prevent it by turning susceptible clothes inside out and washing them in a mesh bag or a drawstring pillowcase. As I was surfing the web on one of my breaks at work I was actually looking for some fragrances for fall and I accidently fell upon a link on how to make your own potpourri. How perfect is that!? I can make my own fall scented potpourri! 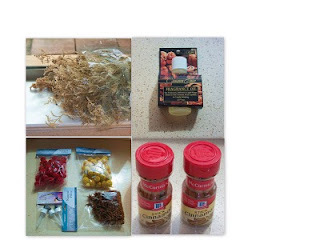 So the more I browsed the more sites I ran acrossed with all kinds of information, but I will share with you the simplest 'recipe' on how to make your own potpourri. 1. In a large resealable plastic bag or nonreactive (glass or plastic) bowl, combine orange peel, cinnamon sticks, spices and dried botnical. Toss gently to combine. 2. Select one or a blend of essential oils. Use an eye dropper to distribute a total of 12 to 15 drops of essential oil(s) on the insides of some pieces of orange peel in the potpourri mix. Toss potpourri gently to combine. 3. If the mixture smells strong enough, do not add any additional essential oil. However, if you would like to increase the intensity of the fragrance, add a few more drops, then toss again to combine. 4. 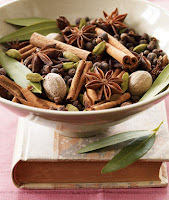 Pour the potpourri mix into a large glass jar and seal with a tight-fitting lid. Store the jar in a cool, dry, dark place for a couple of weeks to cure before using. Check the potpourri after one week to see if the fragrance is strong enough. If desired, add more essential oil. Viola! You now have a beautiful fragrance of fall drifting througout your home. Here are some additional sites to find oils and dried flowers and leaves. Save on Crafts - This site also has extra tips on how to blend potpourri for a more personalized style. Show me what you have made. I mixed it all up so that the potatoes and cheese were well coated with the eggs. I added a little bit of seasoned salt for some flavor. I heated up a nonstick pan and lightly coated the bottom of the pan with some butter. Then I slowly placed 4 spoonfuls of the potato mixture into the pan. I let them brown and then flipped them to brown the other side. I did this until I used up the potato mixture, which it yielded 8 cakes. Place onto your plate cut into and see all the melted cheese ooze out! My son loved it b/c it was cheesy!! This is now a favorite in our home, it was soo easy to make, it would be a great little side dish for breakfast as well. So this is my first ever tutorial and I'm really excited to share with you what I have made! I've seen the boards with the cute fabric and ribbon for pictures, and thought why not make one for clips and bows!?! So I've been busy making one and wanted to show you how to make one. First you will need to start out with your piece of wood. Make sure you have sanded down the edges for a smooth finish. Next position the wood onto your batting. I used a corner of the batting to make it easier to cut a straight piece. I left a little overhang so that it will wrap up onto the sides. Then lay the piece of batting onto the front fabric piece in the center, making sure that you have enough of to pull over onto the wood. I then ironed the batting to the fabric, I used the fusible batting to make it easier to work with. It won't move around as much. Okay now place the wood onto the back of the batting. Glue it in place with your hot glue. Then start folding the edges of the fabric over onto the wood and glue into place. For the ends I wrapped it like I was going to wrap a present and then glued it into place . Since I don't own a staple gun I used push tacs to better secure my edges to the wood. Once you have glued and tacked/stapled your edges it should look like this. Now you're ready for the 3/8 inch ribbon. You want to make a diagonal with it because we will be creating an X pattern. Once you're done making the X pattern, which doing the diagonal on both sides you will now want to start positioning your tacs and jewels into the middles of the X's. Push down the tacs and then glue the rhinestones on top of the tacs. Your front should look like this once you have your tacs and rhinestones in place. Next grab your 7/8 ribbon and cut it the length that you would like, but make sure to leave enough to tie a bow at the top. Once you have secured your top ribbon you will now need to get your coordinating back fabric. Iron it if needed to get the creases out. Then you will want to measure it so that you will have enough to fold over on the sides to be able to glue it to the back of your board. Your piece of fabric cut to the size that you want. Now fold the ends and iron in place. Now you are ready to start gluing it onto place. Tie the ribbon into a bow and Viola! You have yourself a cute way to display your flower clips or your little girls bows and clips!! Have Fun! !